If you’re a pediatrician in Florida, what you’re permitted to ask your patients about guns in their home might be about to change. A new bill called “Privacy of Firearm Owners” will permit physicians to ask children and teenagers about guns and ammunition at home only if they “in good faith [believe] that this information is relevant to the patient’s medical care or safety, or the safety of others.” In addition, doctors also would not be allowed to note gun ownership in a patient record unless it is relevant to care. The bill passed both houses of the Florida legislature and now goes before Governor Rick Scott. The final version of the bill was as a compromise between the National Rifle Association and the Florida Medical Association. Initially, the legislation prohibited any discussion of gun ownership and carried both fines and prison time as potential penalties. Not adhering to the provisions of the law, if passed, could result in sanctions from the state medical board. The impetus for the proposed legislation reportedly stems from a pediatrician in Ocala, Fla., who told a mother to find another physician after the mother refused to answer questions about gun ownership in the home. The NRA, which supports the legislation, sees the issue primarily as one of privacy. 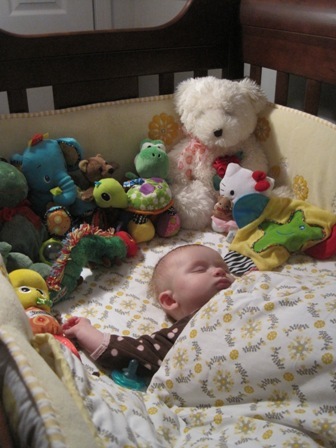 Some pediatricians in the state see this instead as a safety issue. 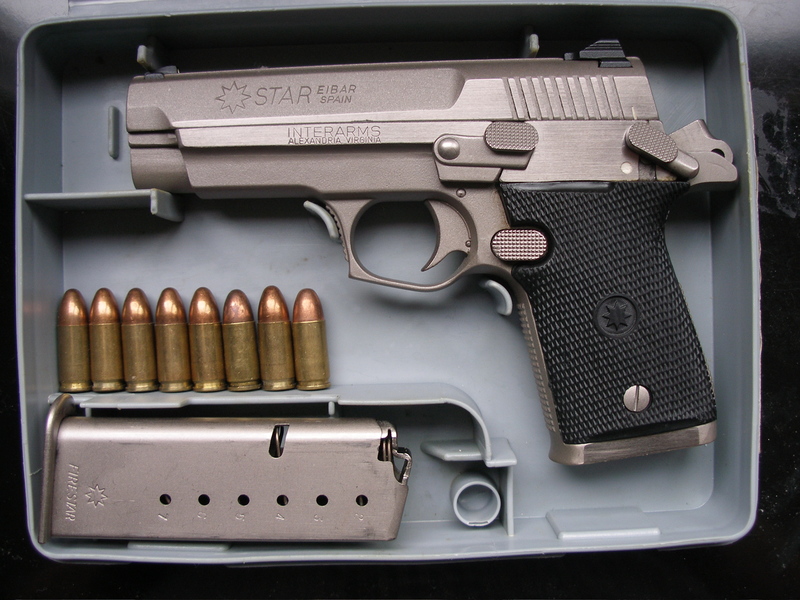 “The purpose of the question about firearm access is to screen for risk and to start a conversation regarding safety practices that is in the best interest of the patient. As with all medical advice, the patient … [or the family] is free to take or discard the advice,” Dr. Judy Schaechter, associate chair of pediatrics at the University of Miami Miller School of Medicine, said in an interview. “Florida’s bill allows for questioning about gun access if ‘in good faith’ a health care provider believes the information is relevant to the patient’s medical care and safety. In absolutely good faith, I believe the information, and the professional, mutually respectful conversation which follows, is directly relevant to the medical care and safety of all children. Of course, that is why I opposed the bill in the first place.” (Dr. Schaechter also wrote an editorial in The Miami Herald last month). The American Academy of Pediatrics (AAP) released a statement expressing “grave concern” over the passage of the bill by the Florida legislature and urging the governor to veto the bill. “Pediatricians play a key role in injury prevention by providing anticipatory guidance to parents during office visits to lower the risk of injury in the child’s everyday environment,” the academy wrote. The AAP pointed out that similar legislation is pending in other states, including Alabama and North Carolina, and urged leaders there to reject such legislation. Registration packets were bulkier than usual at the American Academy of Pediatrics national meeting this year because they contained complimentary copies of two new books that comprised an interesting juxtaposition. Both were published by the Academy. 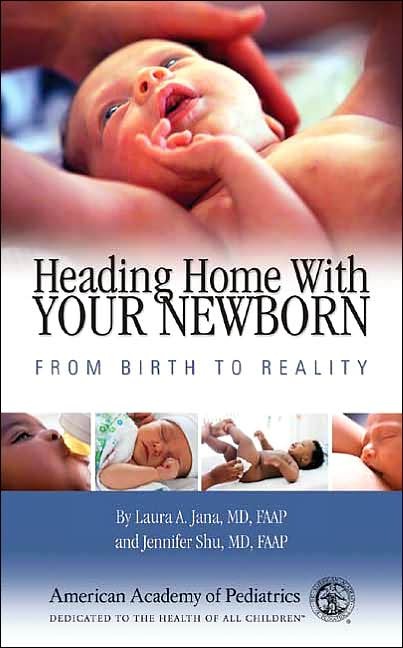 First is the updated, second edition of Heading Home with Your Newborn: From Birth to Reality (September 2010). Two pediatricians who also are moms (Dr. Laura A. Jana and Dr. Jennifer Shu) offer information and advice aimed especially at first-time parents who may be feeling curious, anxious, inadequate, and just plain tired as they bring their new baby home and enter a life of day-to-day care for this new little being. The book includes fresh sections on vaccines, choosing a child care provider, early learning, car seats, safe sleep, cord blood, postpartum depression, vitamin D, organic formulas, disposable vs. cloth diapers, newborn hearing screening, what to keep in your medicine cabinet, and more. It’s a lot for new parents to take in. And that’s only the beginning — in the blink of an eye, parents will be moving on to the second book, CyberSafe: Protecting and Empowering Kids in the Digital World of Texting, Gaming, and Social Media (October 2010). Every young kid today is what author and pediatrician Dr. Gwenn Schurgin O’Keeffe calls a “digital native” — someone who has never known a world without the Internet, social networking sites, mobile communication technologies, gaming, virtual worlds, texting, and sexting. The teasing and bullying that many kids experience in the “real world” has followed them into cyberspace. One in five kids will experience online abuse by the time they are in high school, Dr. O’Keeffe notes. I’ve seen this first-hand since my nephews got me onto Facebook and allowed me to Friend them. (Digital immigrant, c’est moi.) I’ve seen some kids taunting and bullying others in their posts. But you know what? I’ve also seen kids stick up for each other, perhaps more so online than they would have in person. 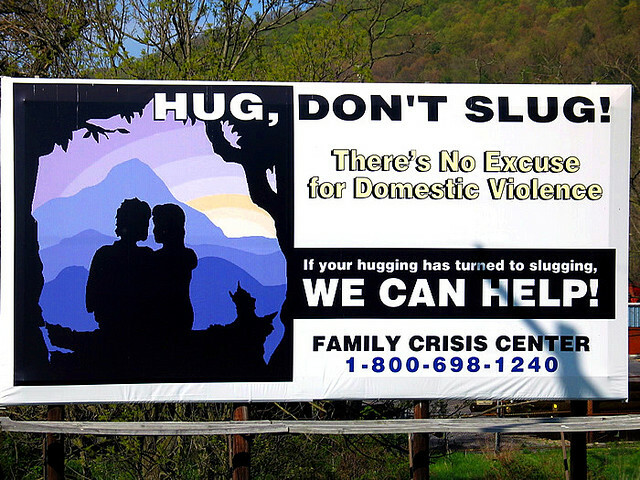 And when one kid vented about his frustrating family and said he would run away from home, his peers rallied around him and encouraged him to think more calmly. Parents need to know that no matter where their kids will be, they need to be involved, whether it’s in school, on the playground, or on their cellphones, MySpace or Twitter. 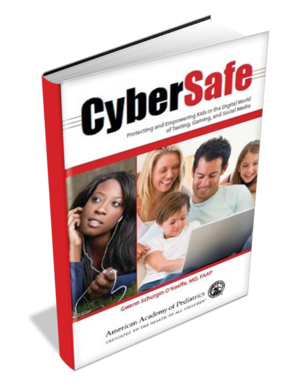 CyberSafe can help them and their kids be cyber-smart. Could You Gather ‘Round, Please? Two new studies suggest that the popular practice of including patients and family members during hospital rounds is gaining even greater momentum. Family-centered rounds were the most common rounding practice among 265 U.S. and Canadian pediatric hospitalists surveyed as part of the PRIS (Pediatric Research in Inpatient Settings) Network Triennial Survey. The recently published survey, described as the first national study of pediatric hospitalists to identify current rounding practices, reported that 48% of academic and 31% of non-academic respondents used family-centered rounds. The long-standing concern that having family members present would increase rounding time did not materialize, with academic setting and higher daily patient censuses being the only significant causes of longer rounding duration. This finding contradicts previous research and “may be used to enhance FCR buy-in by hospitals considering or initiating FCRs,” the authors suggest. The most common perceived barrier to FCR, cited by 44% of respondents, was that the rounding team size was prohibitive. Other barriers include trainees’ fear of not appearing knowledgeable in front of families, a negative impact on physician work flow and patient confidentiality. Several professional groups, including the American Academy of Pediatrics, already endorse family-centered care as a way to improve team communication and outcomes. Indeed, the study noted that bedside nurse participation was perceived as being significantly greater on FCR rounds than on other types such as sit-down or hallway rounds (83% vs. 51%). Considering their work in the trenches, this finding says a lot. In a second study, presented at the Pediatric Hospital Medicine 2010 meeting, EEGs and head MRIs were completed faster after implementation of FCR at Riley Hospital for Children in Indianapolis. FCR also increased the percentage of discharges on the first shift, from 40% to 47% – not an insignificant amount, according to lead author Dr. Jennifer Oshimura, a pediatric hospitalist fellow at the Indianapolis-based hospital. For anyone who’s ever been on the receiving end of that data, the effort is appreciated. Will this recommendation pack a big enough punch to kick-start a movement toward more screening and greater acceptance and awareness of the efficacy of behavioral interventions? It looks like it will be an uphill battle, if a new survey of members of the American Academy of Pediatrics gives a true indication. The survey of 677 primary care clinicians in active practice revealed that only 52% assess BMI percentile for children older than 2 years and only 23% said they believe that there are good treatment strategies for overweight. Less than half said they are able to make referrals to interventional programs. It also was notable that clinicians who are familiar with American Academy of Pediatrics guidelines on obesity screening and treatment were more likely to use BMI percentiles in their care and more likely to feel prepared to counsel patients. Dr. Ned Calonge, the chair of the USPSTF, recognized that many clinicians won’t be able to offer referrals to weight management centers, but he said with greater recognition of the value of screening and the efficacy of treatment, greater availability of referral services and insurance coverage will hopefully follow. 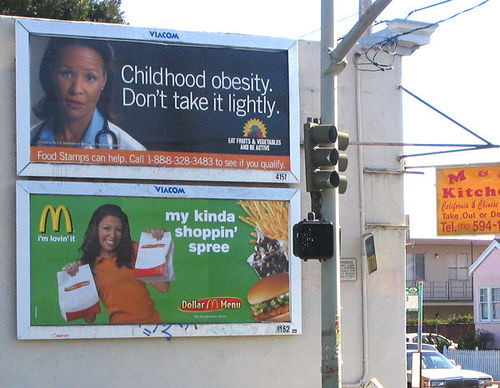 That will be key because 69% of providers in the survey said that insurance does not cover weight management programs, and only 15% reported that they can bill for overweight counseling and treatment separate from well-child visits. From the annual meeting of the American College of Nutrition, Arlington, Va.
As we all know, it’s essential to include disclosure information in our medical news stories. And sometimes the choices of news presented at a meeting are influenced by sponsors, too. I wasn’t shocked, but I was surprised that each and every symposium at the annual meeting of the American College of Nutrition was sponsored by multiple nutrition-oriented companies. This was not a huge meeting, and the most clinically interesting material that our physician readers might enjoy was in the symposium that was sponsored by the National Dairy Council. Although the program says that (for the most part) the presentations themselves were not sponsored, when I looked into it I found that several of the presenters also had dairy council ties. The themes of the presentations were, guess what? Consuming more dairy is good! The sponsorship doesn’t mean that the studies aren’t valid, but it’s another example of what to remember to mention in terms of disclosures–be mindful of symposium or section sponsorships as well as sponsorships from a specific study. The National Dairy Council is interested in promoting dairy, but their claims about dairy’s benefits aren’t unfounded. There is a growing body of evidence for the benefits of including plenty of dairy in your diet. In fact, several of the presentations were literature reviews that included non-sponsored studies that showed associations between health benefits and dairy consumption. I heard today that the American Academy of Pediatrics is recommending increased amounts of vitamin D for children with the goal of preventing disease later in life, and guess how kids can get more vitamin D? From dairy products. For more information about dairy and health, and for the latest from the AAP about vitamin D, check out nationaldairycouncil.org and aap.org.